Hula Hooping Mom: This Spring, Think Green! The holidays are over and we have spring on our minds. At least here in Vegas we do! The temps have been beautiful and the sun is shining! I've been going through a spring cleaning phase. I like the clean smell through out the house and shine that you can see reflecting off the sun. Frosch shipped out some products for us to use to help us get a head start on our spring cleaning. I have kids and while they are not young, they still make a mess! As a mom, I think about how harmful spraying chemical filled cleaning products are. Do I really want to spray them on the same windows and tables that the kids touch and eat off of? No way! According to EWG's guide to cleaning, "A large and growing body of evidence links frequent use of many ordinary cleaning supplies at home or on the joy with development of asthma and other respiratory problems." This spring, think green! Frosch, a green cleaning product line, offers moms and alternative to traditional cleaners. The windows can be cleaned with their award-winning Bio Spirit glass cleaner and the Baking Soda All Purpose Cleaner if perfect for highchairs, counters and tables. And it's a clean you can feel good about! 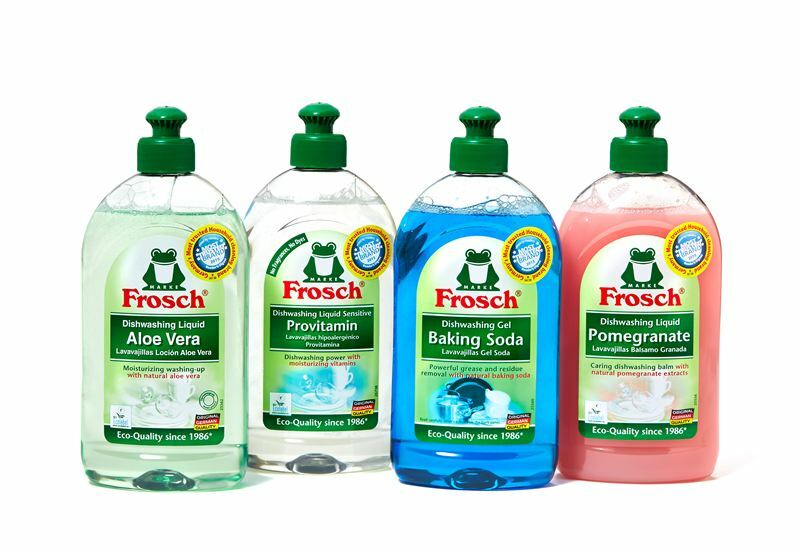 For the past 15 years, Frosch has been voted Germany's Most Trusted Brand by Reader's Digest. I did not see any difference in these products. They worked just as good, if not better than the chemical filled products I'm use to using. Not only did it do the job, as a Mom it made me feel good using products that I knew were not going to harm my children in any way. 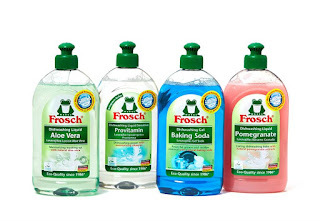 These economical and ecological cleaners are available online at FroschUSA.com or through Amazon.